Warning: contains spoilers for Of Mice and Men. Reading for fun, to me at least, is a long-lost pastime harkening back to the days before I had a phone and computer to binge watch shows and videos on. Summers were spent chewing through books a mile a minute while at sleepaway camp in Maine. I would often finish all the books I brought or was sent and would have to borrow more from my bunkmates. I was captivated by stories of characters, albeit 1-dimensional, as I was 12 at the time, struggling with life, each other, or their adventures, classic hero’s journey stuff. I could notice patterns or specific things that stuck out to me but didn’t have the literary ability to recognize or analyze them. I was excited for higher level English classes coming into 8th grade or so. You could imagine my disappointment as year after year since, the books assigned to us are ancient, boring, depressing books contrived to be as hateable as possible. 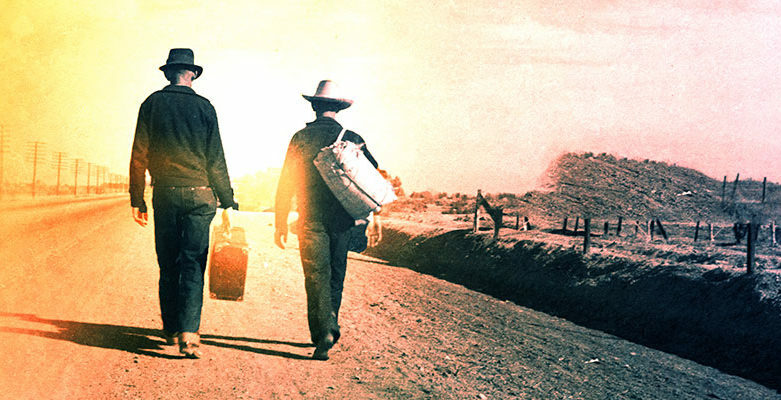 Take Of Mice and Men, the first book our 9th-grade class read. It takes place during the Great Depression and focuses on the horrible working conditions that everyone, particularly minorities, faced during that time. Considering its publication in 1937, it’s no wonder how popular it has become. It was emotionally relatable to a very wide audience, as all of America was going through the Depression together. In the modern day, however, it comes off as needlessly depressing, including the deaths of a puppy, the only woman written into the story, and eventually, one of the main characters. The only upside to the book is how short it is. The downtrodden portrayal of minorities which made it a cultural landmark 80 years ago serves mostly to depress and deter high school readers. The skills attempting to be taught, critical analysis and identification of literary elements to name a few, are placed behind an unnecessary entry barrier of unappealing, distasteful plots. In order to expand upon my point, I interviewed every high school English teacher and asked what is the point of English as a class. Not a single answer included any mention of the types/genre of books read or even anything related to the content of the literature at all. If the content/genre is borderline irrelevant to the core of the class, why not use it as a way to interest and introduce students to the study instead of alienate them? Like a parent hiding healthy food in their kids’ snacks/dessert. This is not a Pierson teacher specific problem, and I don’t want to come off that way. This is a problem a bit higher up, presumably at the institutional level. Our teachers have a curriculum to follow and they are in no way at fault for following it, this discussion is regarding the teachers in order to get them, and hopefully, students and parents, talking about this so that it reaches the higher ups. I am also not saying there should be no sad or tragic books in the curriculum; I would argue it is valuable to read Medea and Catcher in the Rye, even though I personally despised those works. As a senior, my high school English career is practically over, and though I’d like to thank the wonderful teachers I’ve had, I can’t help but feel disappointed in a large, repetitive chunk of the curriculum. It’s too late for me, but hopefully, this can inspire some spark of change for the future generations of learners at Pierson. Sidenote: Here is an anonymous, very, very condensed list of what the purpose of high school English is, according to each English teacher. Command of the 26 letters of the English language. To improve communication from others to you and from you to others. To critically read and write. To prepare for college writing and reading level and pace. Communication and presentation.